To improve the managerial knowledge of market and product analysis and positioning to executives, business development managers and product management, Mensa Group held a “Pharmaceutical Marketing Management Course and Workshop” on May 3-4 and May 8-9, 2017. 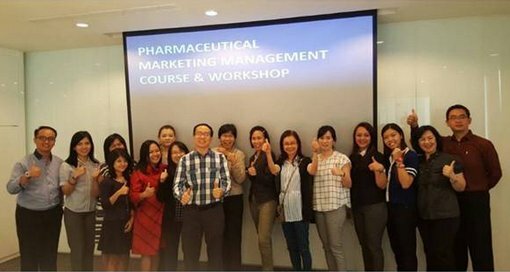 Located at Mensa Encore Building, Pulo Gadung, Jakarta, this event was attended by 25 participants from PT Otto Pharmaceutical Industries, PT. Pertiwi Agung, HaloDoc, and CKD-Otto with dr. Hindrianto Lukas, MBA as an experienced instructor in the pharmaceutical industry. The learning materials are also equipped with functions and duties of Medical Department, Pharmacovigilance, and BA-BE Test presented by dr. James Hajadi as Corporate Medical Director. In addition, there was also Mr. Widjaja Satriadi, COO of Mensa Group, who also gave comprehensive briefing and description to the participants about the role and function and key of success of BD and PM in the pharmaceutical industry. The enthusiasm and responses of the participants were very positive in this training. The material presented, considered very useful for the development of their potential. In the future, development training that contains other important materials will be continued for the sake of continuous improvement.